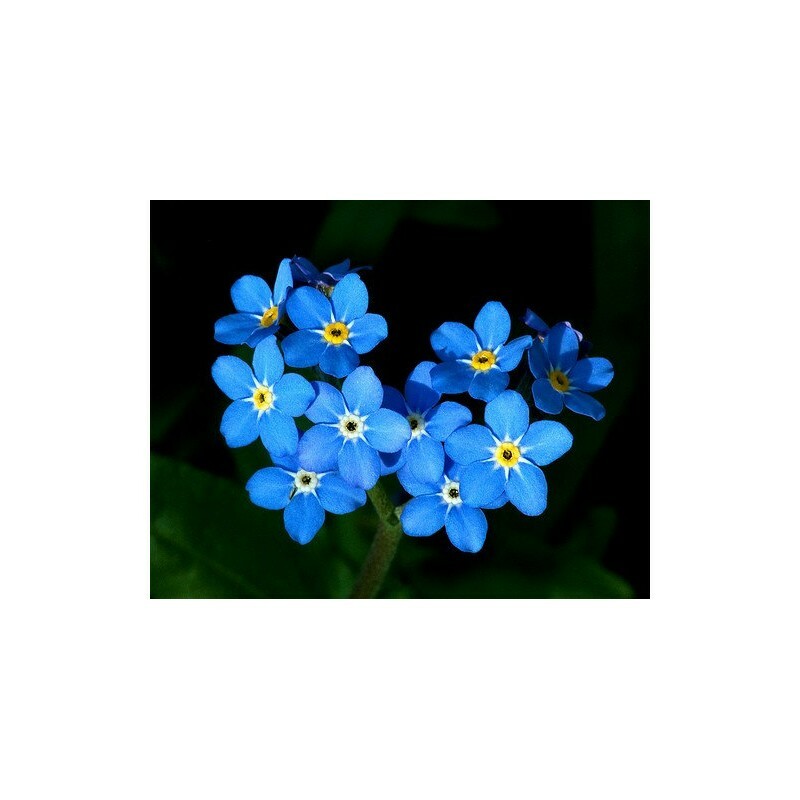 Flower Details: Blue, centres are yellow. Flat flowers. Five lobes. Height: 4 to 20 inches (10 to 50 cm). Flowers: Early spring and /or summer. Sow Outdoors: Cover seed. 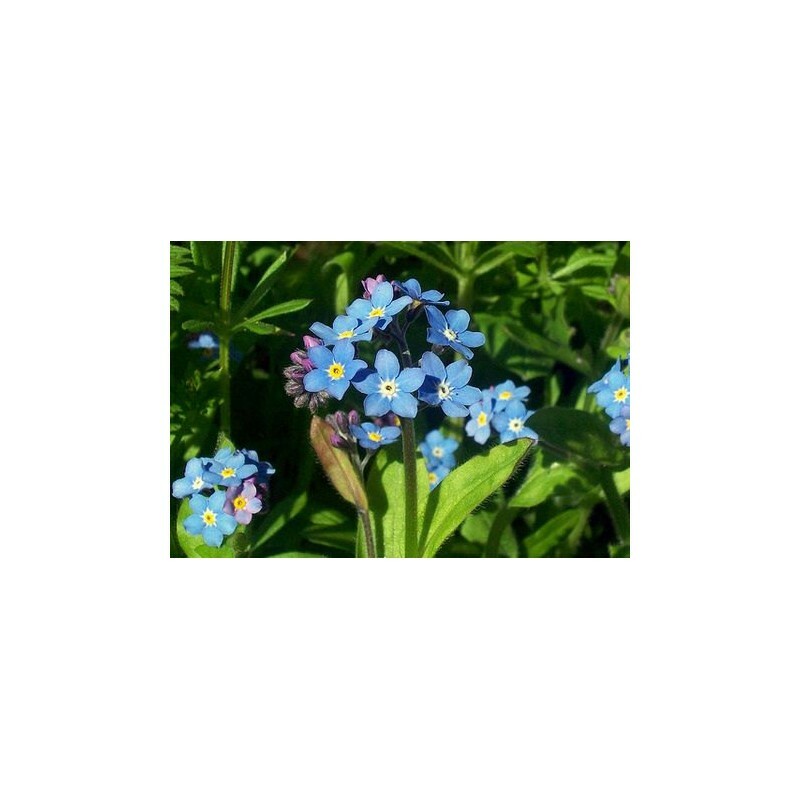 Perennials: before last frost or in autumn. Sow Indoors: Vermiculite. Water from below. Germination time: one to four weeks in the dark. Temperature 70°F (21°C). Nine or ten weeks in advance. 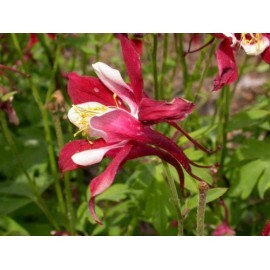 Transplant outdoors before the last frost or in autumn. Requirements: Light shade. Rich soil. Moist soil. Regular watering. Propagate: dividing at the start of spring. 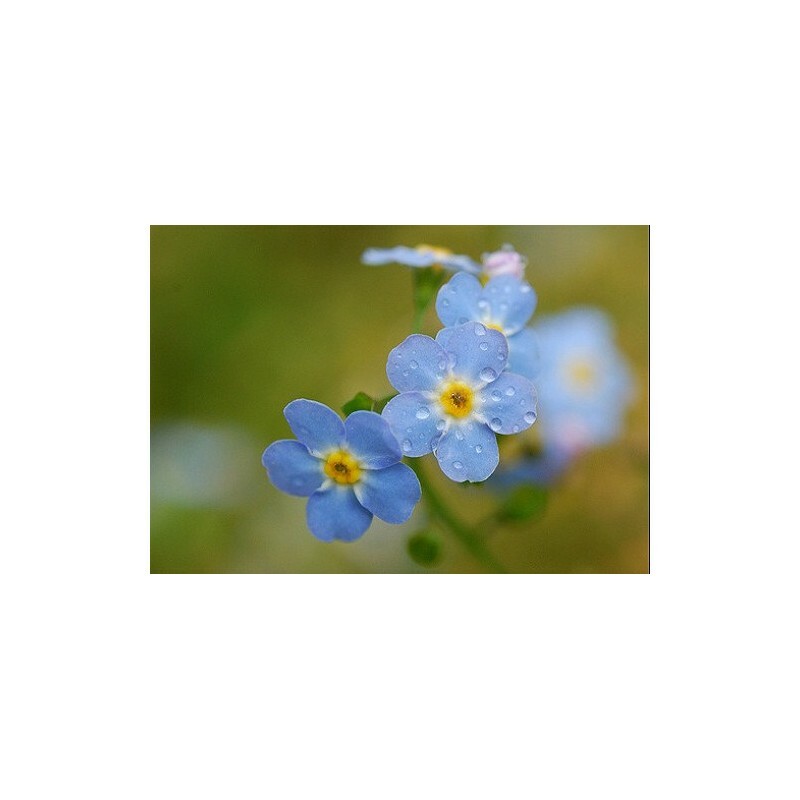 If growing outdoors then sow the seeds of Forget Me Not's on the surface just before the last frost of spring. 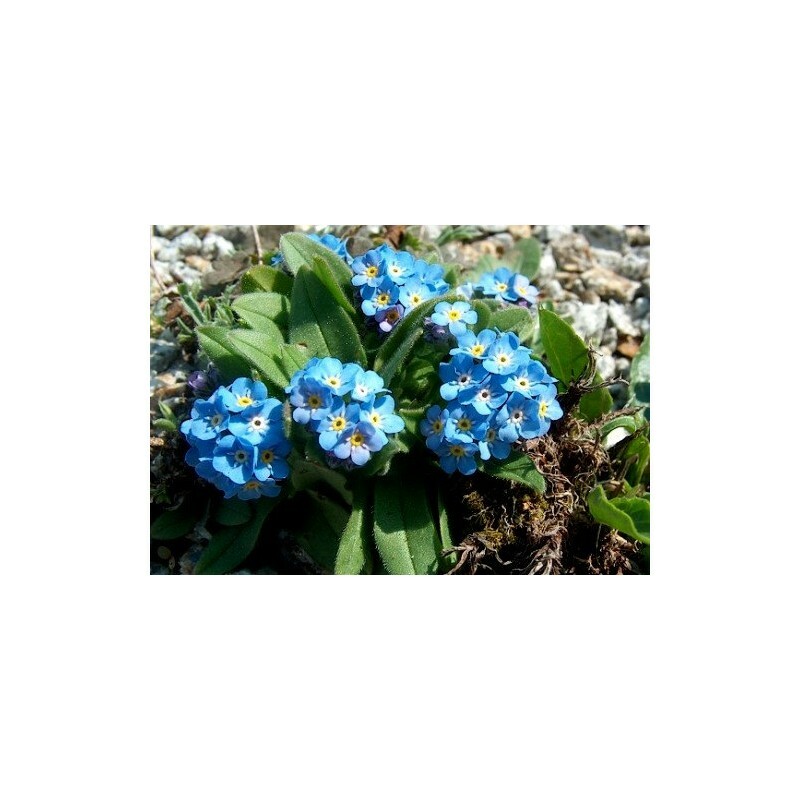 Forget me not likes to grow in a partially shaded area of the garden that has a rich moist soil and a pH of 6 to 7. 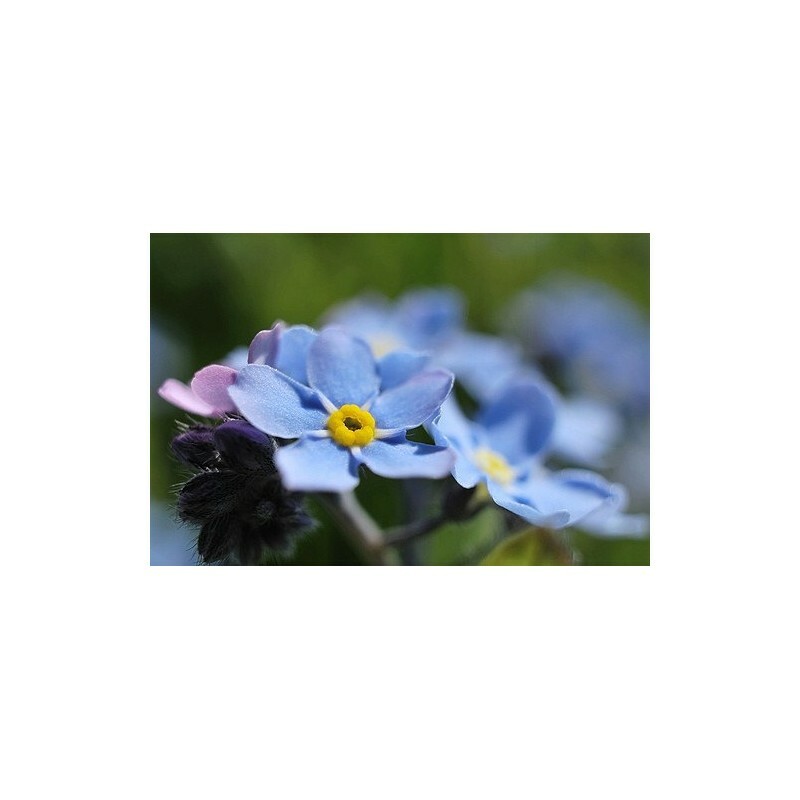 If starting off Forget me not indoors then start about 2 months in advance. 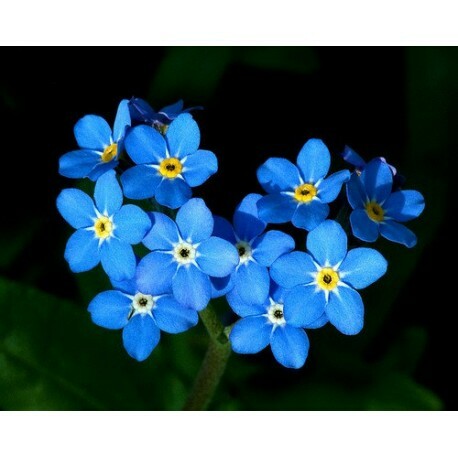 The seeds of forget me nots should be sown in vermiculite. It will take from one to four weeks to germinate at 18 to 20 degrees centigrade in the dark. It is necessary to water the forget me nots from below to stop them rotting. Once seedlings are ready transplant into the garden and grow about 15 to 20cm apart.